Teamwork and collaboration can be defined as the ability to communicate and work effectively with others on common goals. Cross-functional teams of people with different skills and disciplines solve problems, build consensus and coordinate activities to achieve optimal results. To communicate and collaborate, today’s workers no longer rely just on email and face-to-face meetings, but on a collection of smartphone and web apps. Millennials now comprise the largest generation and make up more than 30% of the workforce. Businesses that are growing will need to add staff, and millennials want virtual workspaces and collaborative environments. Consequently, companies that fail to adapt quickly and stay on top of their collaboration needs are creating problems for themselves now and in the future. How can teamwork and collaboration help me? The benefits of teamwork and collaboration are well documented and include better employee engagement, higher productivity and increased profitability. According to the Harvard Business Review, about three-quarters of the U.S. workforce is disengaged. Building a culture of teamwork and collaboration and providing workers with the tools they need can increase employee engagement, improve retention rates and make your organization more attractive to top talent. More productive meetings are just one of the results of efficient collaboration. Proactive, team-oriented workers require fewer meetings—and as the saying goes, the most productive meeting is the one you don’t need to have. 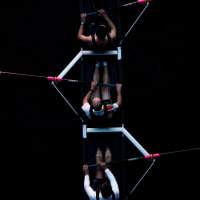 Improved communications that result from better teamwork and collaboration can create a business that is more flexible and able to respond to opportunities more quickly, before the competition. The most noteworthy benefit of teamwork and collaboration may be business profitability gains. More engaged employees, organizational flexibility and higher productivity will improve your bottom line, as will your ability to attract and retain top talent. A recent Raconteur study showed that almost three-quarters of North American business and IT leaders believe that employees “working better together” would make their organizations more successful. We’ll show you how to make that happen in your organization, starting with our Value Discovery Workshop. Contact us today to schedule a Value Discovery Workshop. These videos will give you insights regarding the many ways that you can benefit from Microsoft’s vast product offerings, no matter what industry you are in.